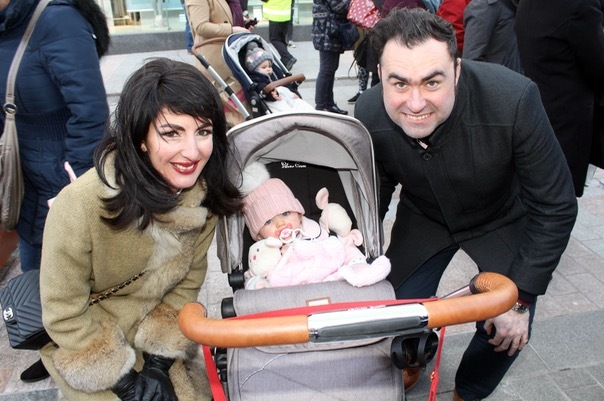 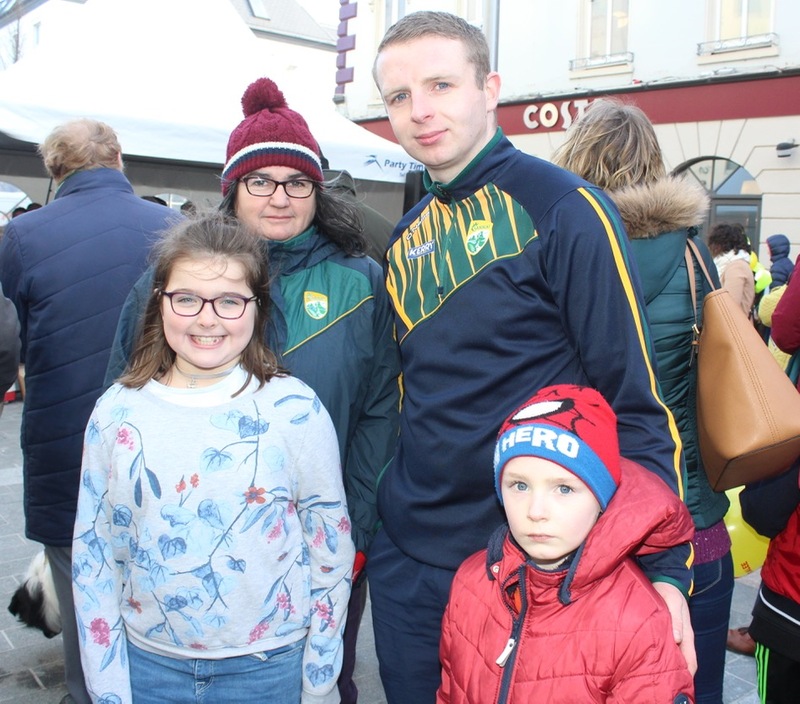 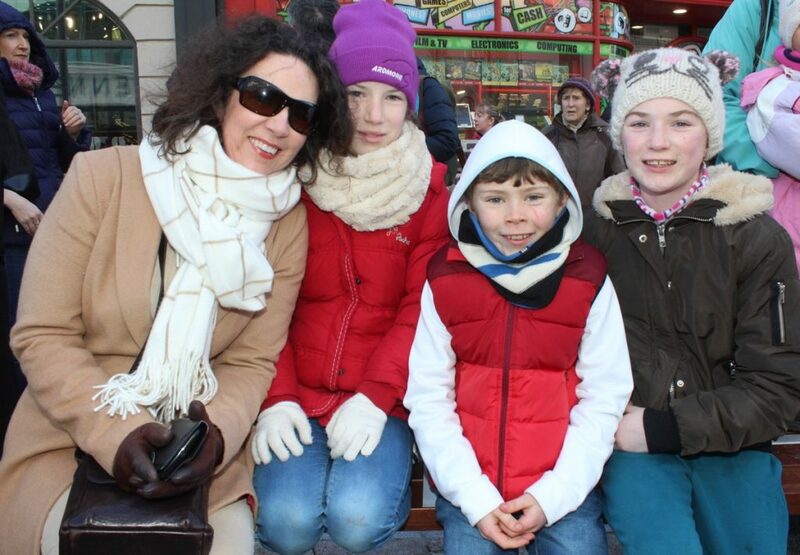 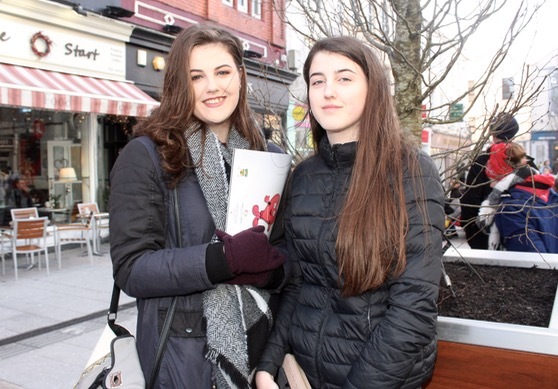 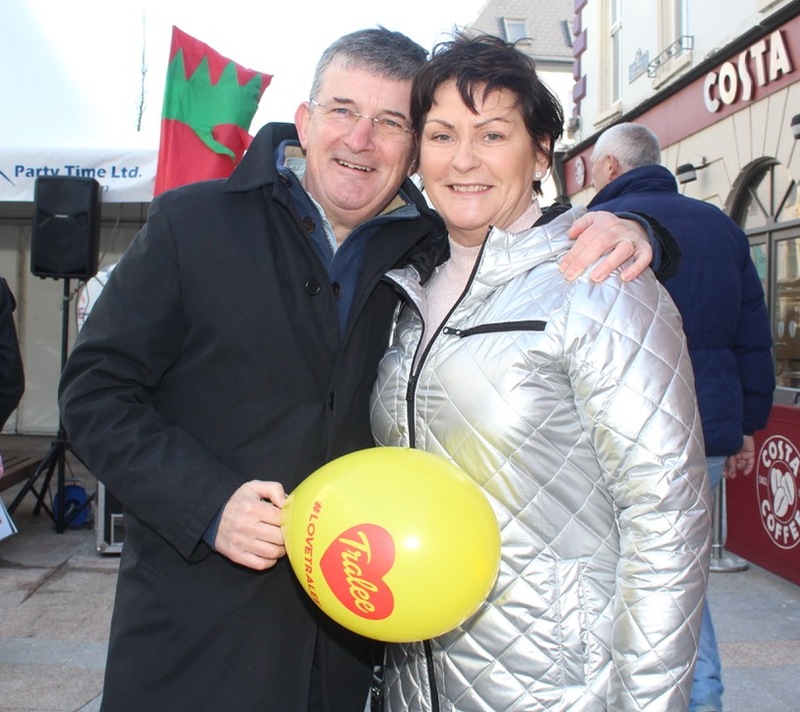 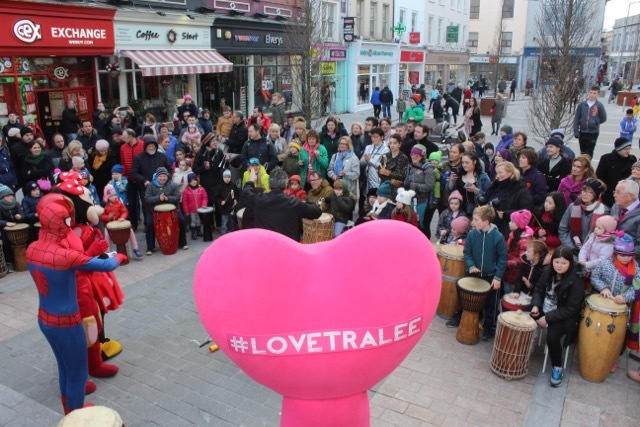 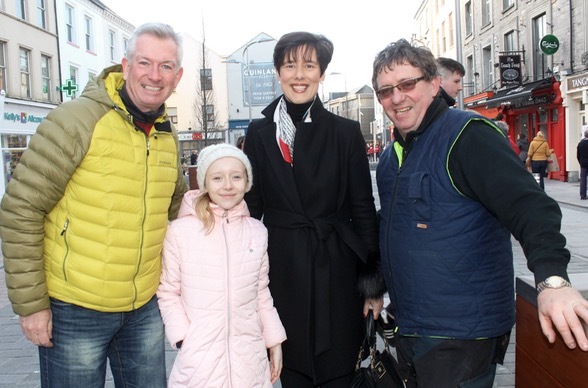 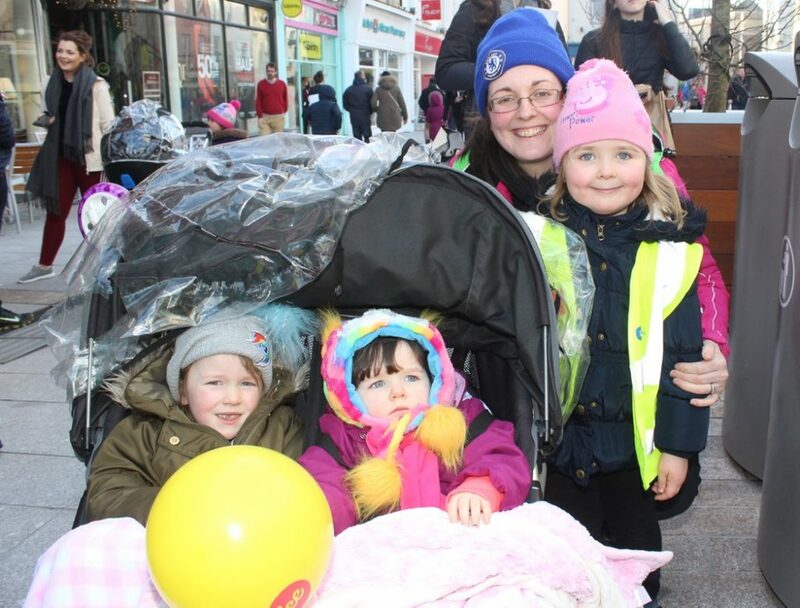 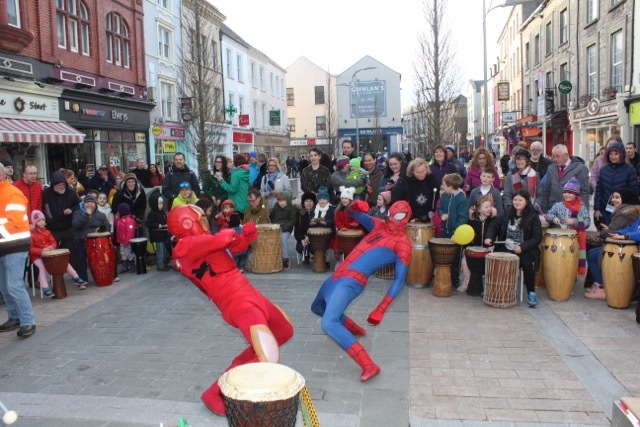 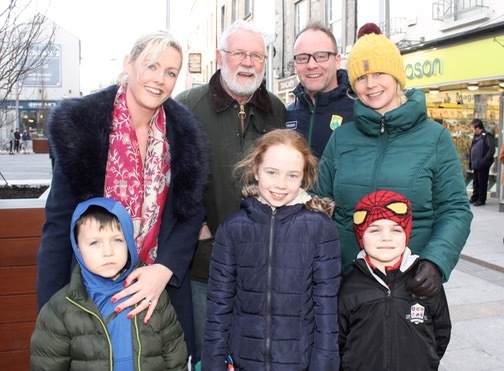 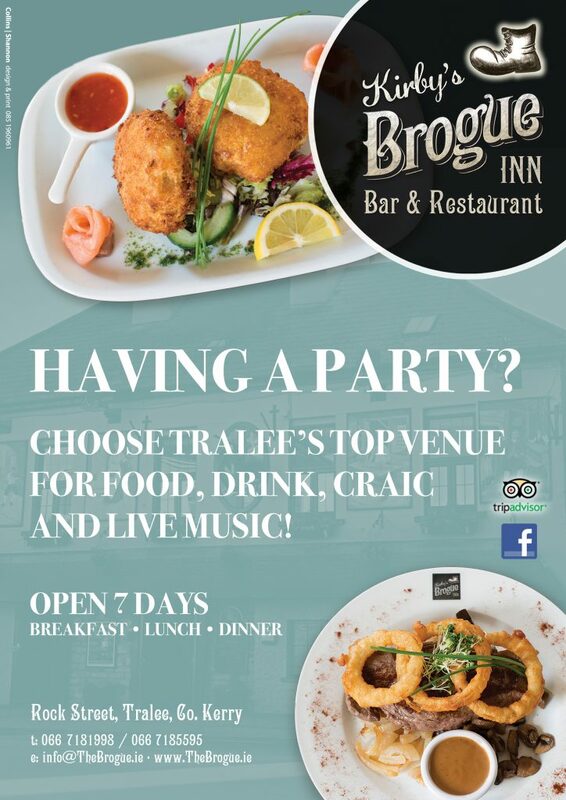 The weather gods smiled on Tralee on Saturday afternoon, as families gathered on the Mall for a party to mark the revamp of the area. 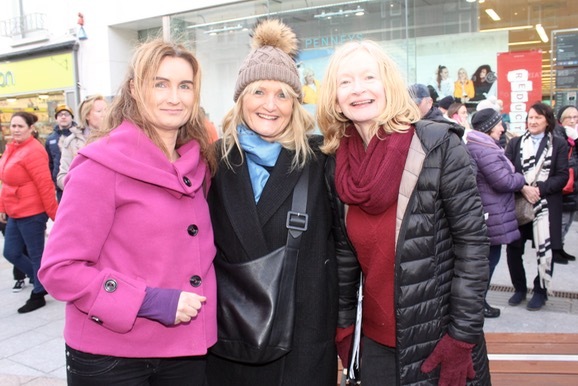 While we’ve seen horrendous showers for what seems like every 15 minutes over the past week, the rain stayed away for the three hours between 2pm and 5pm on Saturday and it allowed for a wonderful afternoon of entertainment. 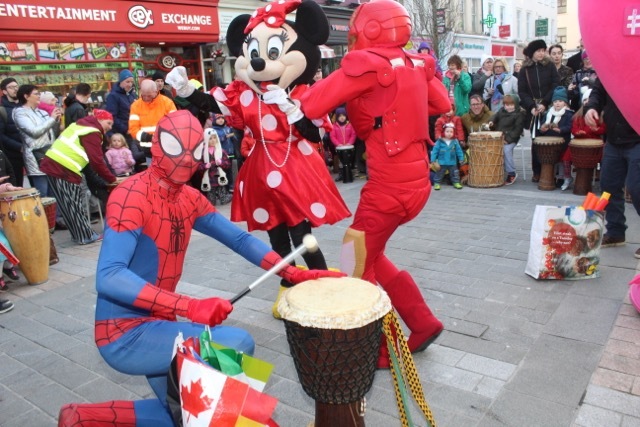 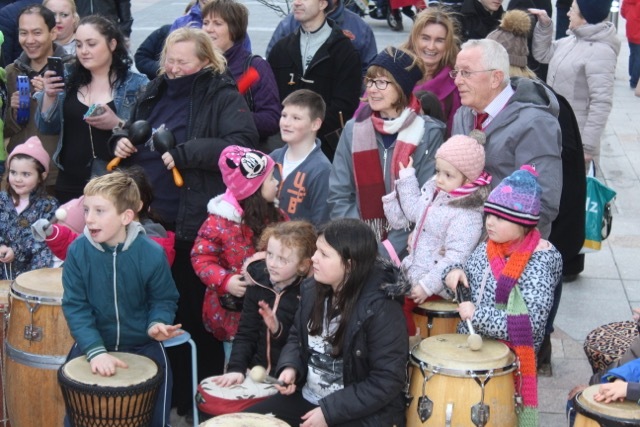 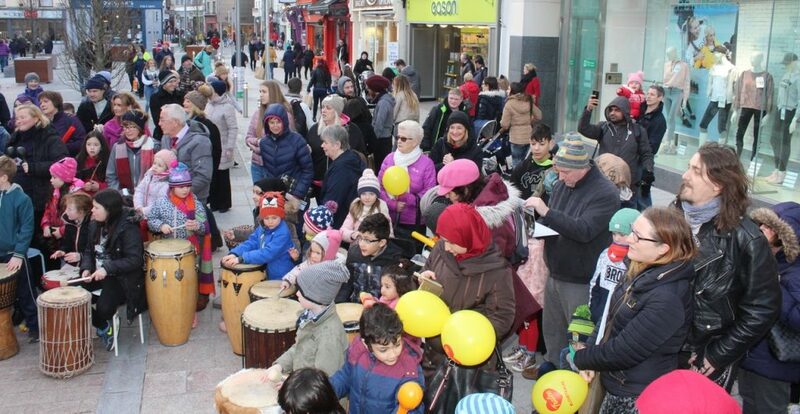 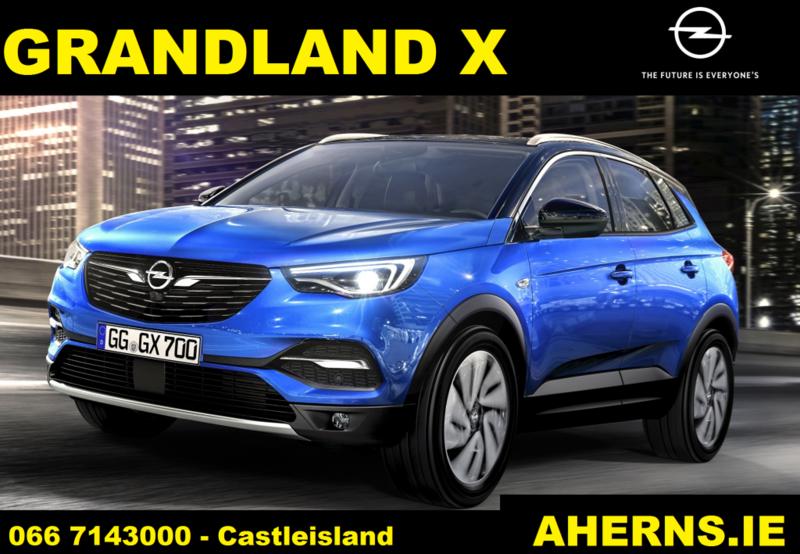 There were performances by St John’s Pipe Band, the Kerry Choral Union, a Drum Dance Ireland drumming circle, Zumba dancing with Jelena, and entertainment from Kingdom Party Pals. 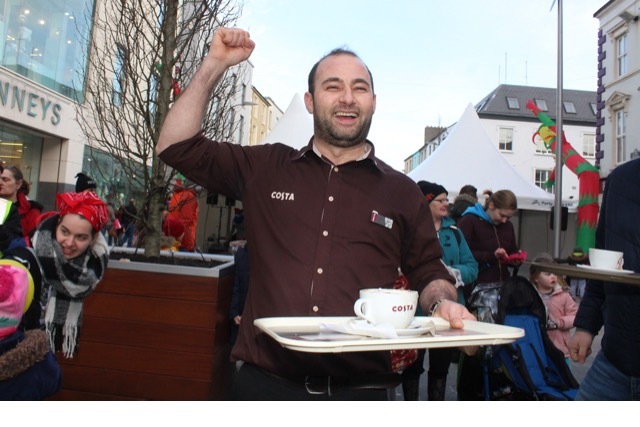 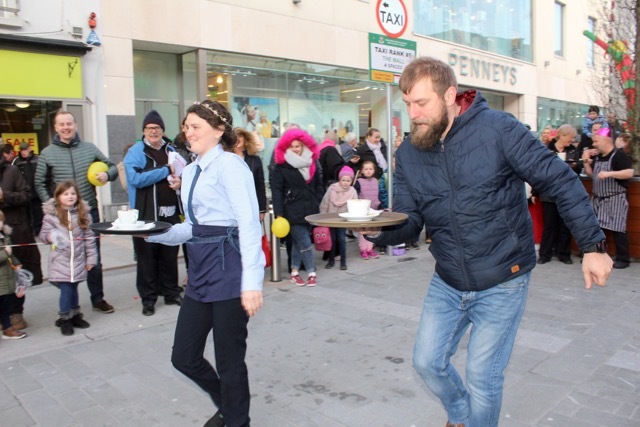 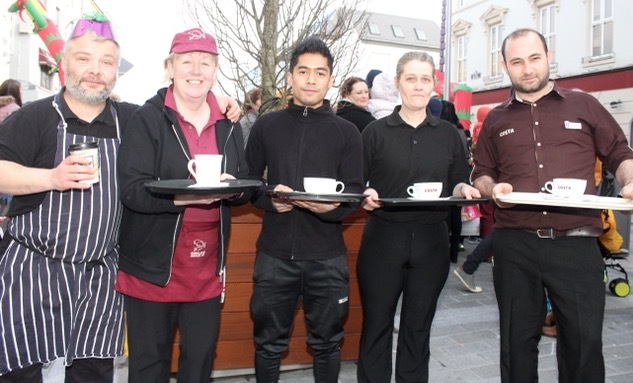 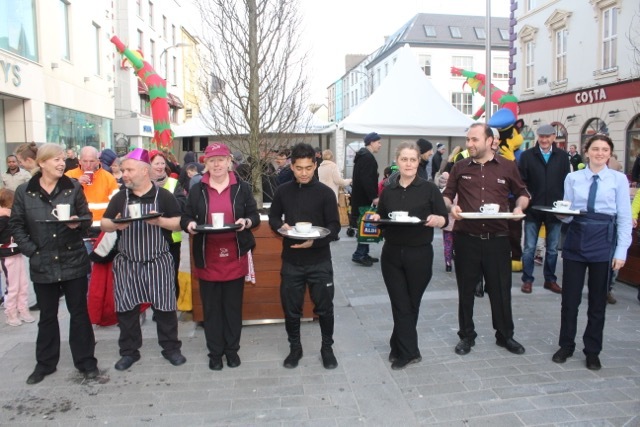 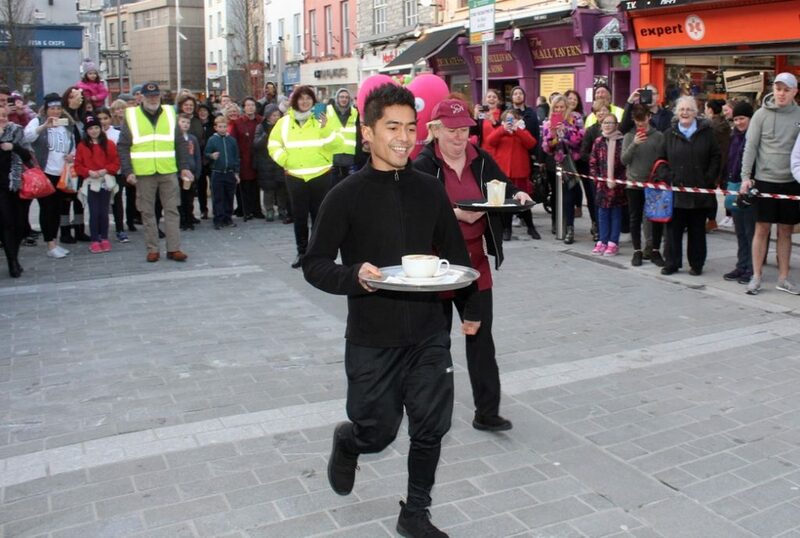 There was also a Cappuccino Race which was keenly contested by representatives from local businesses and eventually won by Ghorgo from Costa Coffee.